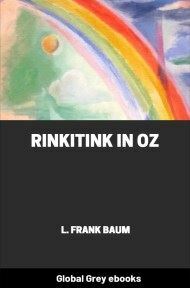 This is the sixth book in The Oz Series by L. Frank Baum. 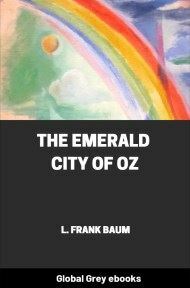 Dorothy Gale and her Uncle Henry and Aunt Em come to live in Oz permanently. While they tour through the Quadling Country, the Nome King is tunneling beneath the desert to invade Oz. This was originally intended to be the last book in the series. Therefore the King stormed and raved all by himself, walking up and down in his jewel–studded cavern and getting angrier all the time. Then he remembered that it was no fun being angry unless he had some one to frighten and make miserable, and he rushed to his big gong and made it clatter as loud as he could. "But not all the time," declared the King. "To be angry once in a while is really good fun, because it makes others so miserable. But to be angry morning, noon and night, as I am, grows monotonous and prevents my gaining any other pleasure in life. Now, what do you advise?" Then the guards took the Chief Counselor, and bound him with chains to prevent his struggling, and threw him away. And the King paced up and down his cavern more angry than before. Finally he rushed to his big gong and made it clatter like a fire–alarm. Kaliko appeared again, trembling and white with fear. "You will have to go to the Land of Oz to recover it, and your Majesty can't get to the Land of Oz in any possible way," said the Steward, yawning because he had been on duty ninety–six hours, and was sleepy.